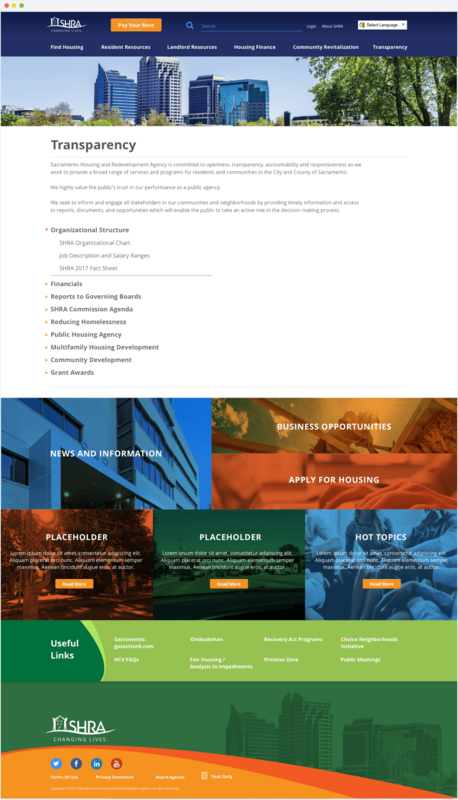 The Sacramento Housing and Redevelopment Agency (SHRA) provides affordable housing opportunities and creates healthy neighborhoods through effective community and business partnerships throughout Sacramento. 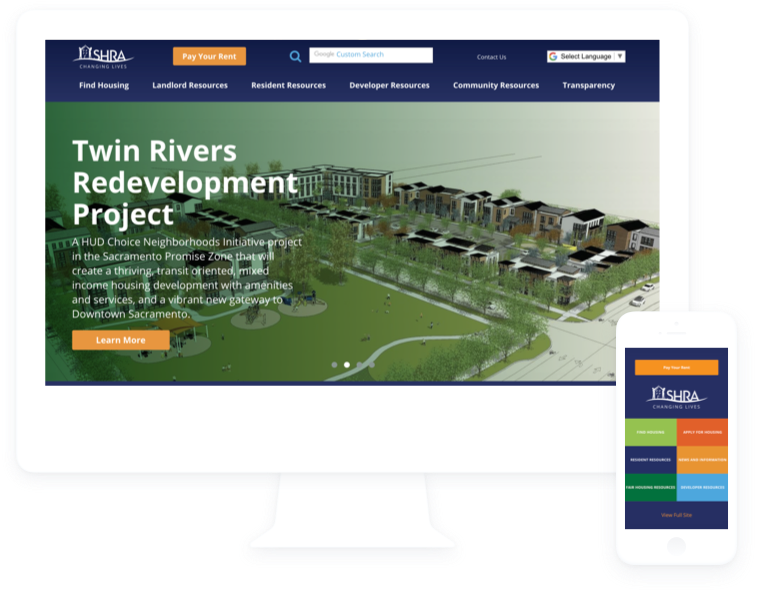 SHRA came to Three29 for a complete redesign that would enable their information to be more accessible to companies who wanted to partner with them on redevelopment projects. 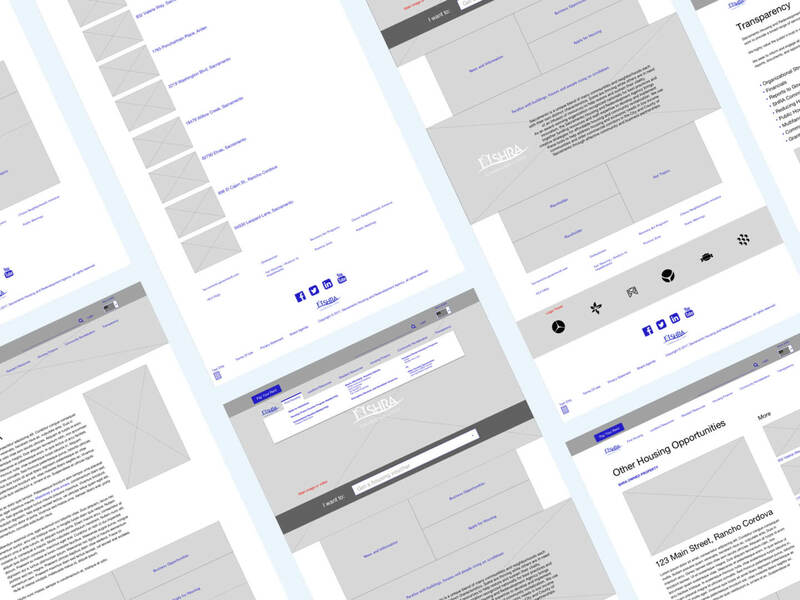 When tackling a site redesign, there’s more to it than just making it look nice. We find ways to make a site work smarter, not harder. 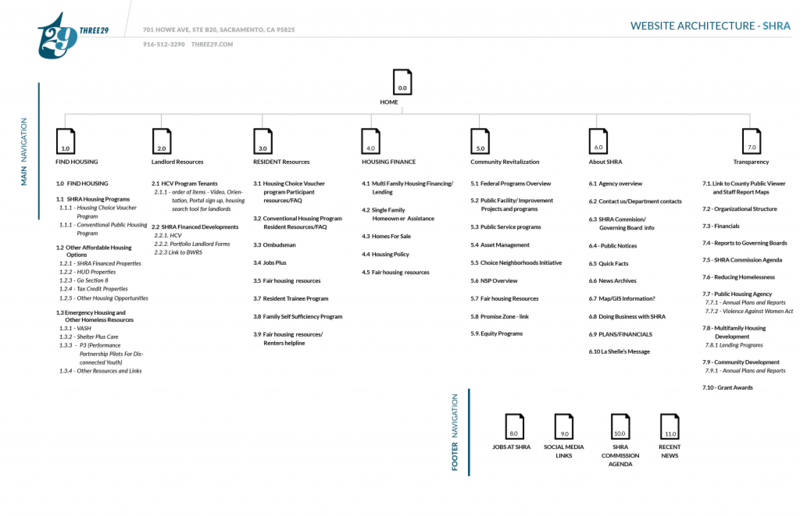 We reorganized their entire site through wireframes and site architecture, bringing the page count from 300 to under 150. 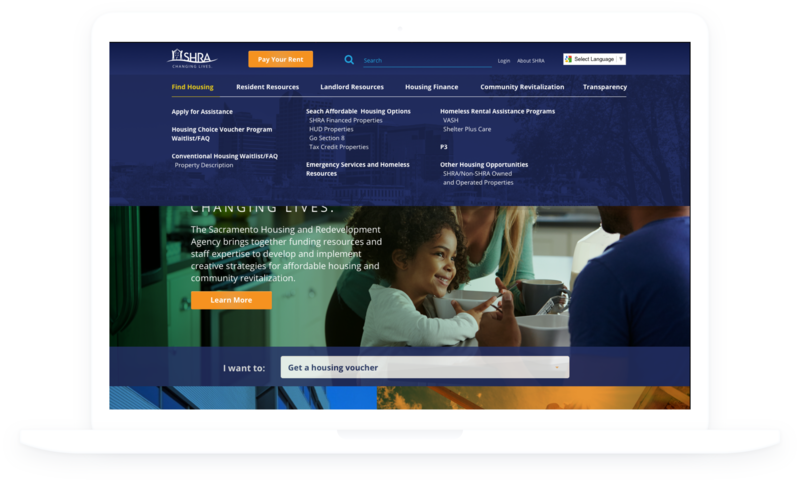 We helped run meetings with SHRA’s internal team on reorganizing their content across their entire site, making sure every department felt represented. Two objectives were key with this redesign. 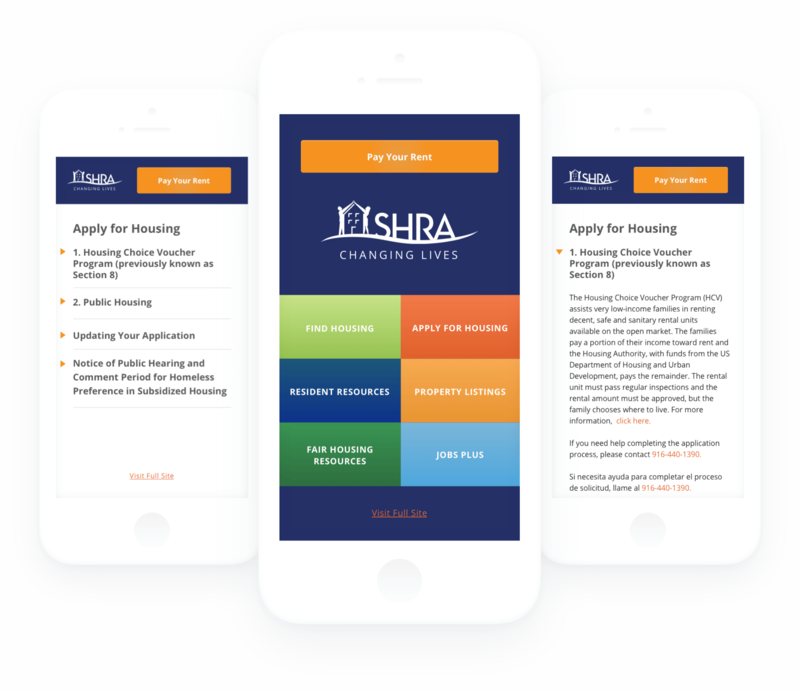 Not only were we tasked with creating an aesthetically pleasing online presence, but their mobile presence had to be geared specifically toward people who would be using SHRA for their affordable housing services. 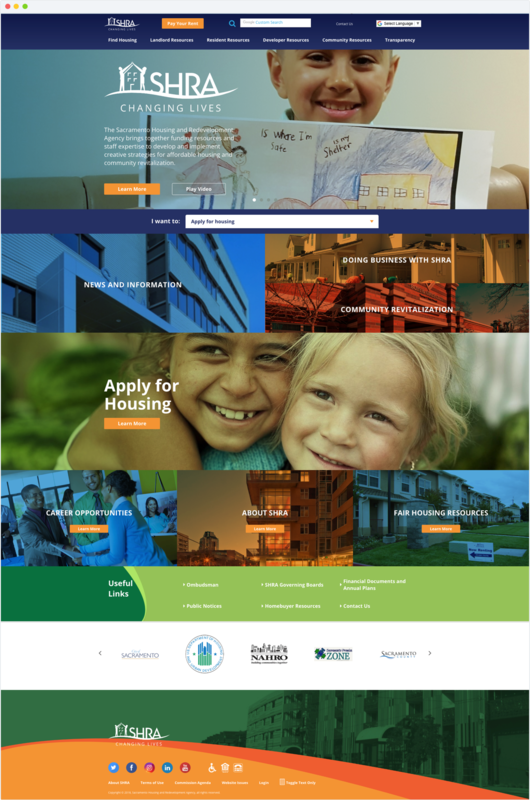 Most people who qualify for affordable housing can only afford phones, so a mobile-specific site made for this demographic was critical. The outcome? An inspiring responsive upgrade accompanied with a streamlined mobile version. We offered a collaborative redesign process paired with creating a site that would be easy to manage going forward. 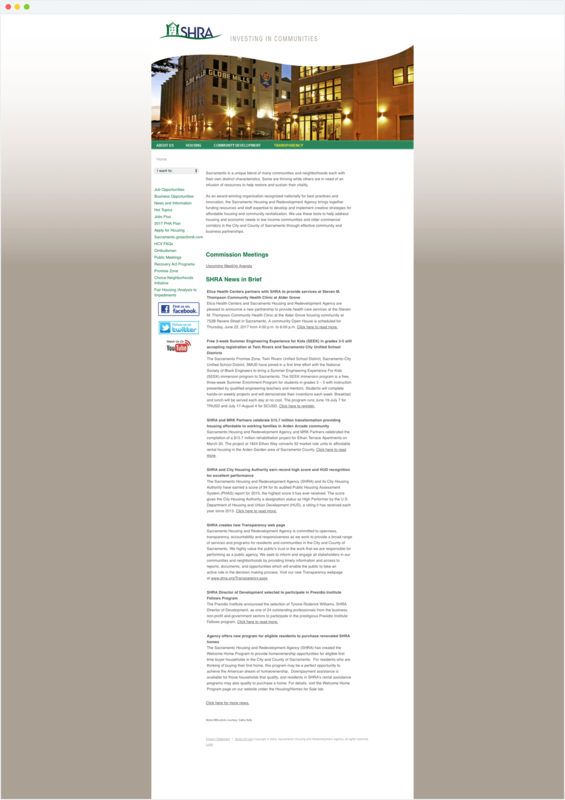 Most of the SHRA’s employees had very limited experience managing websites, and didn’t want to have to call us every time they needed a page update. 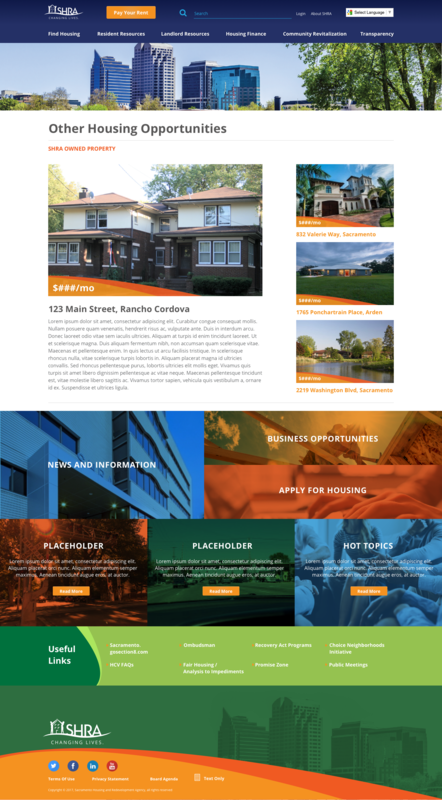 Simplicity was key, and we delivered a site that utilized easy-to-use “Legos” and provided in-person WordPress training to their staff.